This garden-level room has a private entrance. Step through your own doorway and into a large sitting area and bedroom. 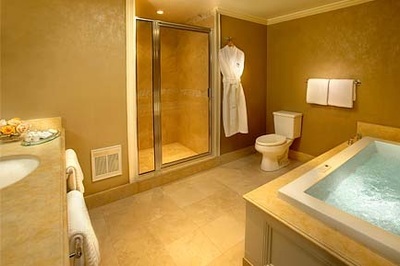 The room features a King size bed, a private bath in limestone and Travertine with a hydro massage tub, radiant heated floor and separate shower. Features include a 32" widescreen cable TV and wireless Internet access.